There are over 88 federal agencies that have some sort of law enforcement or investigative unit. While you may be most familiar with the Federal Bureau of Investigations (FBI) and the U.S. Secret Service, there are tens and thousands more brave citizen that have made the commitment to protect and serve their department, agency, and country. What all these careers share in common is a respect for the law and its citizens, but also the responsibility to successfully carry out the agency mission, whether that is protecting our wildlife as a Refuge Officer or the ensuring that foreign diplomats are safe while traveling in the United States on official business at the Diplomatic Service. We will also be profiling the lesser known Uniform Division of the Secret Service and the in demand positions as a Correctional Officer with the Bureau of Prisons. To succeed in these positions you will need to be in top physical shap and of course a steady hand. But most importantly, nearly all of these positions require a 4-year bachelor’s degree or an equal amount of life experience, preferably within law enforcement. These careers have wonderful benefits and will enable you to continue to thrive in your career with continual trainings and education advancement. 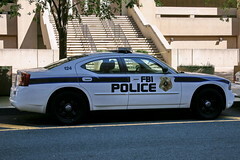 Read on and find out more about Federal Law Enforcement Careers.